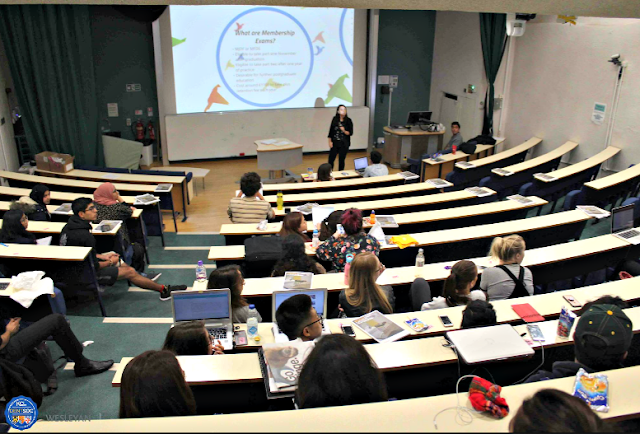 Last week, KCL's Dentsoc invited me to speak to their final year dentists about Dental Foundation Training (DFT) and beyond! What to expect from DFT. Many of my readers will have recently started DFT and the first month I'm sure will have flown by! The first few months will be a huge learning curve from transitioning from university to being independent in practice and learning how the NHS dental system works. If you have followed my blog, you probably have read previous posts about my experience of my DFT year. At this talk I focused on my main tips to keep in mind during the year - this post summarises my tips. Lots of opportunities will arise in this year including meeting some inspirational and knowledgeable clinicians through study days and networking. Make the most of these opportunities and start building the foundations of your support network. Another thing to consider during your DFT if whether you should take one of the membership exams i.e. MFDS or MJDF. These exams are becoming part of the culture of young dentists but think hard before you consider taking them. Do you want to keep your options open regarding postgraduate training or specialisation? Weigh up the costs of the exams, especially pertinent in your early career, with what benefit they may give you in the future. Don't just do them because everyone is else! See my previous post about the differences between MJDF and MFDS. One of the options after completion of DFT is Dental Core Training (DCT). I thoroughly enjoyed my DCT year and I learnt so many skills during my post. Applying for DCT is becoming more and more popular and posts are becoming much more competitive, especially in places like London. There are a variety of posts available and it's a great option if you are unsure of what route your career may take you or you want to learn more about dentistry in secondary care. DCT doesn't just have to be the one year. There are also years 2 and 3 as well as run-through DCT 2/3 posts. To read more about DCT and why it could be a good option for you read my previous post. I also discussed the other career options that you could consider after DFT or DCT. I remember when I first graduated from dental school, my perception of my career was I would just be in practice. It's funny how your thoughts and ambitions change over time! I have plenty of posts about careers on my blog. It was a pleasure to speak to a dedicated group of students who were motivated enough to still be in a lecture theatre beyond 6pm!! I hope the message from my talk, to be ambitious and make the most out of every opportunity that comes your way, hit home even when the pressure of DFT interviews and finals are looming! To see a copy of my presentation from the day, see here. What tips would you give final years about DFT and beyond? Let me know in the comments below.